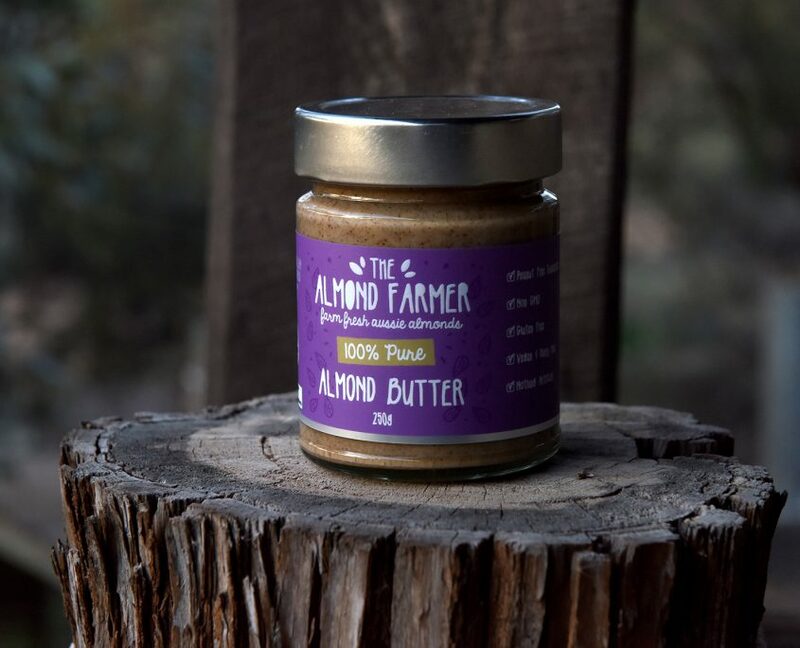 1 Tbsp of The Almond Farmer’s 100% Pure (Natural) Almond Butter or Forgo the Sweetener and use 1 Tbsp of The Almond Farmers Chia & Date Almond Butter. Place Chia seeds, milk, almond butter and sweetener (if using it) in an air tight container and put in fridge overnight. In the morning put 1 Tbsp of stewed fruit in the bottom of a small glass. Top with Chia mixture and finish off with blueberries, bananas and chopped Almond Farmer Almonds. Enjoy!